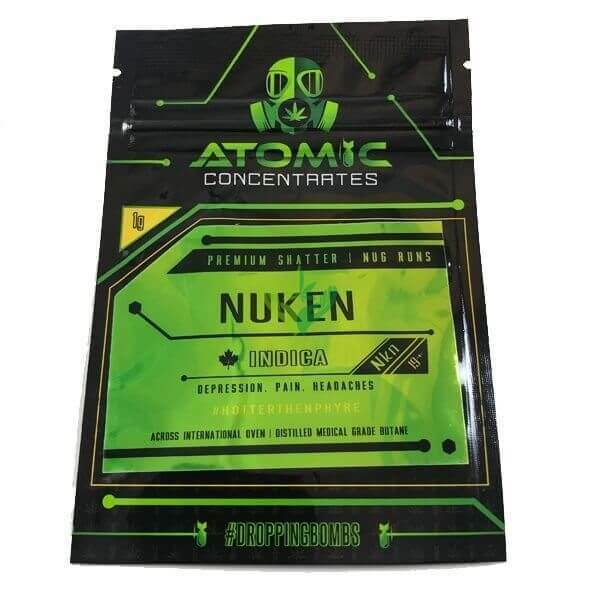 Each package comes with 1 Gram of Nuken Shatter by Atomic Concentrates. Made in B.C. Nuken Shatter from Atomic Concentrates is a Canadian strain bred by combining genetics from Kish (a cross of two Shishkaberry parents) and God Bud. Her even-keeled effects are delivered alongside a sweet, earthy aroma of fresh herbs and grass. While undeniably strong, Nuken typically leaves you functional enough to still enjoy hobbies and the company of friends. Nuken blooms with rounded, dense buds covered in a blanket of crystal resin veiling its sage hues. 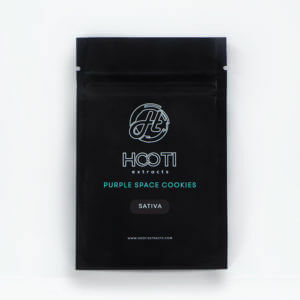 Normally grown indoors, this strain is generally cultivated after 7-9 weeks.